A simple method to precipitate nanoparticles of iron phosphate with acid character has been developed in which the control of pH allows to obtain amorphous nanoparticles. The acid aging of the precipitated amorphous nanoparticles favored the P–O bond strength that contributes to the surface reordering, the surface roughness and the increase of the phosphate acid character. 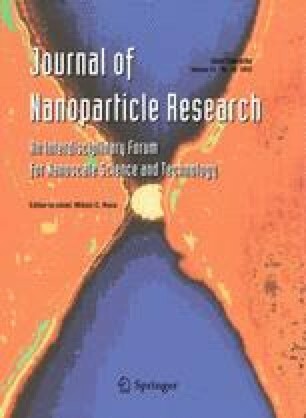 The thermal behavior of the acid iron phosphate nanoparticles has been also studied and the phosphate polymerization at 400 °C produces strong compacts of amorphous nanoparticles with interconnected porosity. This work has been financially supported under contract by MAT2010-21088-C03-01. E. Palacios acknowledges the financial support of the JAE (CSIC) fellowship program.